I didn’t necessarily need any new lamps when I found these ugly duckling ones at the Goodwill for $7 each and even though they didn’t have shades and were pretty beat up, I figured with just a small upfront investment, they could be turned into swans. I loved the shape and how heavy they were so for $14, I couldn’t pass them up considering similar style lamps go for quite a bit more. The first thing I did was remove the price stickers and gave them a good cleaning with a little bit of Bar Keeper’s Friend and a mixture of water. It really did the trick to get all the years of grime and in some spots, rust, off with very little effort. Next…I taped off the socket, and cord with a little blue painters tape to ensure that no paint got into the parts it wasn’t supposed to. 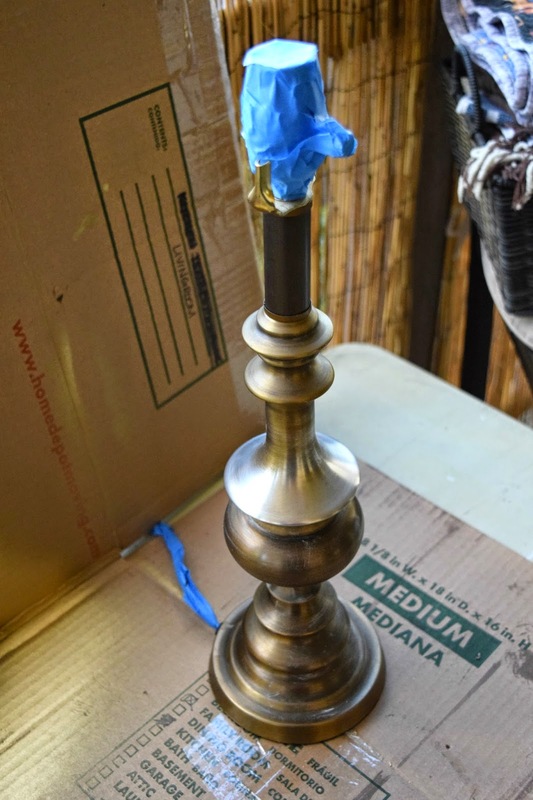 Then I sprayed both prepared lamps with my all-time favorite primer, Zinsser Bulls Eye 1-2-3 Primer. It’s my go-to primer for full coverage on any surface with just one pass! 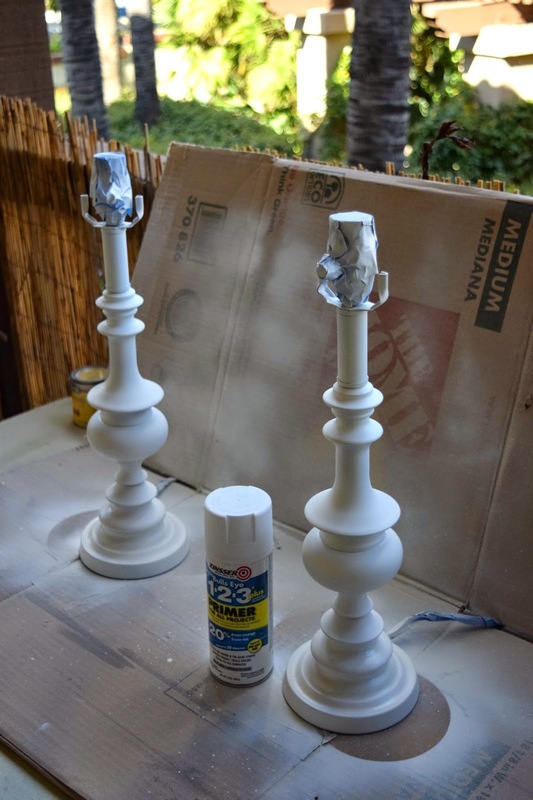 After priming the lamps I gave them a light sanding with a super fine sandpaper just to ensure that they were super-duper smooth for the next step. 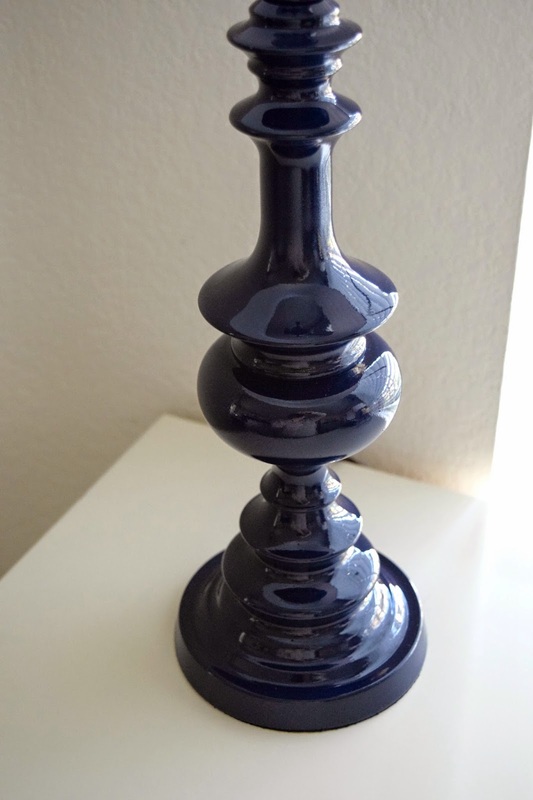 I sprayed the lamps using Rust-Oleum spray paint in Navy Blue in a Gloss finish. I didn’t realize at first that I had picked up the glossy finish but after seeing the end result, I’m so glad for the happy accident. Overall I applied 4 or 5 (I lost count) super thin coats. To obtain a super glossy, flawless finish, thin coats definitely the key! I’m totally obsessed with this color and the high gloss finish. I literally want to stare at my reflection in them all day long and am hunting the house to find something else to paint this deep, bold color! It can be such a classic color but playful and bold all at the same time! 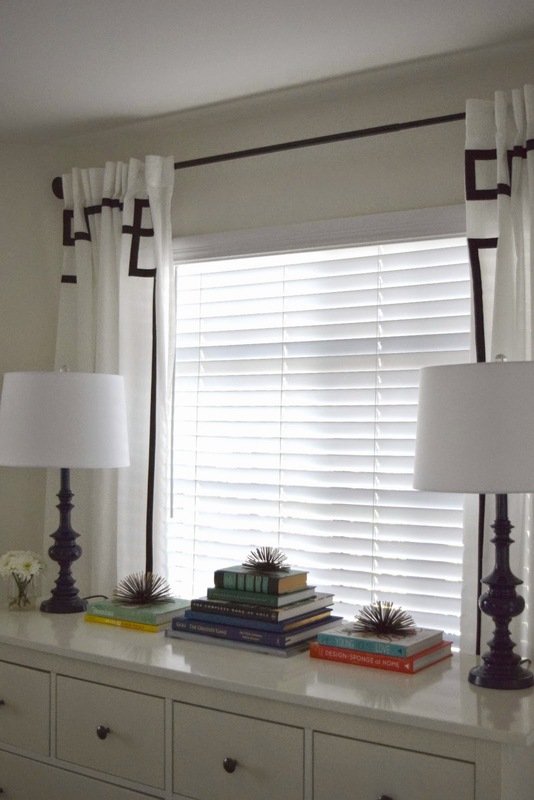 To finish the lamps, I purchased 2 inexpensive Threshold replacement shades and finials from Target because when I purchased the lamps they didn’t have shades and I wasn’t digging the existing finials. Small investments yield big rewards. The lamps are currently living in our master bedroom on our long dresser that sits on the wall opposite our bed. I love them here for now, but can totally see myself rotating them throughout the house because I have design ADD like that and because I just love these oh-so-much! And don’t they look good with my Greek Key Curtains?! Swoon! 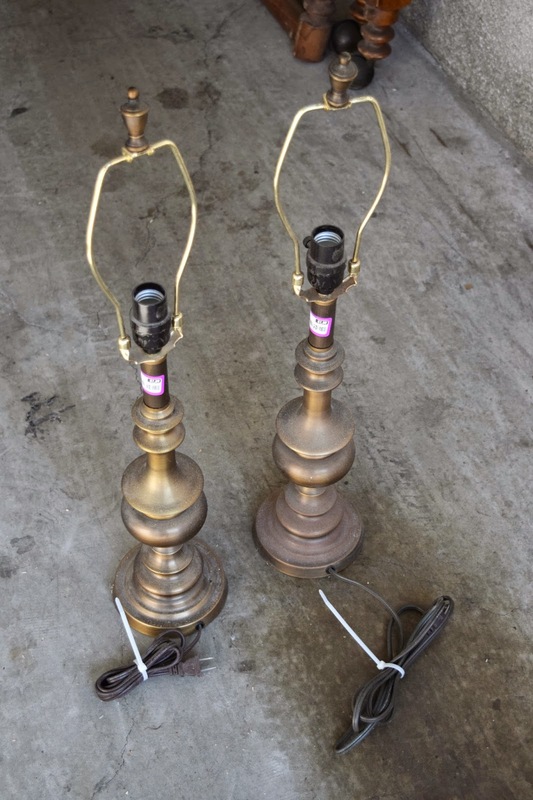 These ugly duckling lamps sure did come a long way! What do you think? For about $25 a piece, I invested about $50 for 2 for what would’ve cost me for one!! Can’t beat that! Nothing like the power of spray paint! 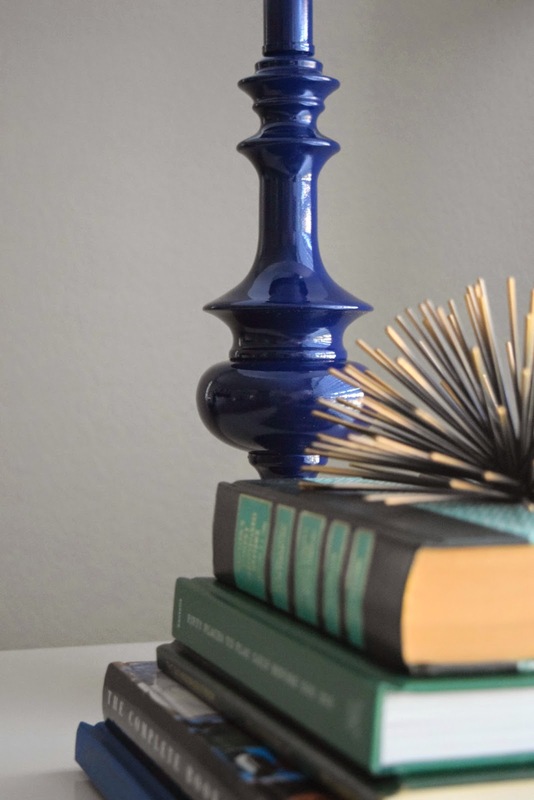 Maybe now you’ll give some poor, ugly, outdated lamps a shot next time you stumble across them! If you do, please share!